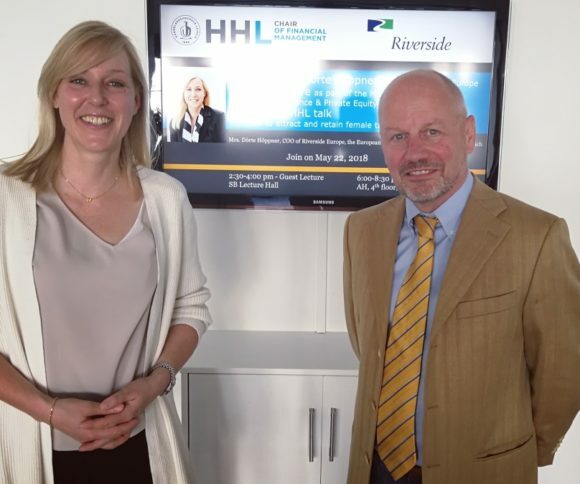 As part of the finance curriculum at HHL, the Chair of Financial Management regularly welcomes high-profile guest speakers to provide practical insights for students. 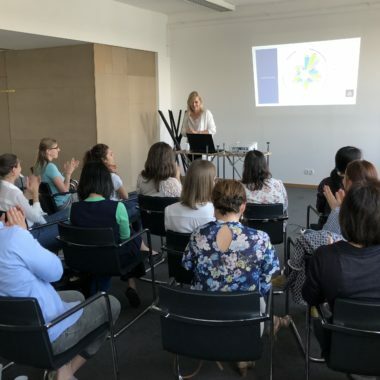 On May 22, Bernhard Schwetzler and his team welcomed Dörte Höppner from Riverside Europe to talk in front of the MSc18 students about her passionate working environment within a Private Equity (PE) firm. Dörte Höppner is the COO of Riverside Europe, the European arm of the The Riverside Company, which is a globally operating PE firm with more than 530 transactions under its belt. 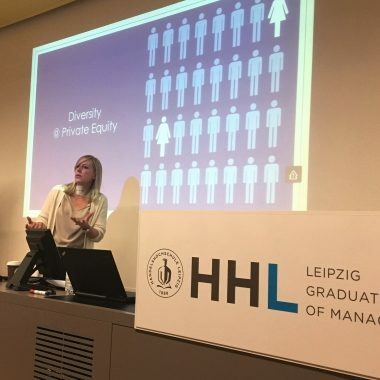 Her guest lecture focused on the current challenges of PE business, such as record amounts of dry powder (i.e., unspent fund capital), intense competition for deals as well as the changing composition of the investor base. These insights provided fruitful ground for the discussion with our MSc18 students.